New iPad models could be on the way, after a new filing at the Eurasian Economic Commission (ECC) shows the regulator is authorizing two models for sale in Russia and other markets in the region, along with updates to other models showing they will run iOS 12 instead of iOS 11. The latest filing with the EEC, spotted by Consomac, includes references to two new tablet models, identified as A1895 and A1980. The two devices are listed as running iOS 11, with the model numbers thought to be for iPads rather than iPhones. At the same time, filings for 11 model numbers first discovered in April have received a small change, with references to iOS 11 in each filing altered to show iOS 12. The model numbers are A1920, A1921, A1984, A2097, A2098, A2099, A2101, A2103, A2014, A2015, and A2016. Neither the two new model numbers nor the 11 altered models have been previously used by Apple for its iPhone or iPad ranges, indicating them to be new devices. The listings do not include model names, but the format indicates them to be iOS devices of some description. The quantity of the model numbers from April could relate to the 2018 iPhone refresh, which consists of three models, and possibly a new version of the iPhone SE. Earlier this month, more filings were found in EEC records revealing five more model numbers: A1876, A2013, A1934, A1979, and A2014. 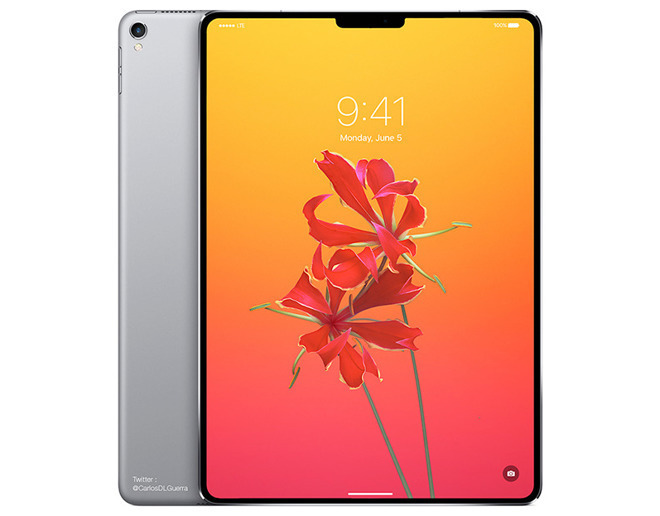 Current speculation points to these being new "high-end" iPad or iPad Pro models that include Face ID facial recognition using a TrueDepth camera and an edge-to-edge 11-inch display, one that would also remove the Home button and Touch ID in a similar way to the iPhone X.